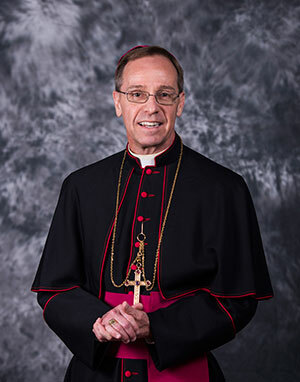 WASHINGTON—Pope Francis has named Bishop Charles Thompson, of Evansville, Indiana, as Archbishop of Indianapolis. The appointment was publicized in Washington, June 13, by Archbishop Christophe Pierre, apostolic nuncio to the United States. Archbishop-designate Thompson, was born April 11, 1961, in Louisville. He holds a bachelor of arts degree in accounting from Bellarmine College, a master of divinity degree from St. Meinrad School of Theology, and a licentiate in Canon Law from St. Paul University in Ottawa. He was ordained a priest for the Louisville Archdiocese in 1987 and was ordained and installed as Bishop of Evansville on June 29, 2011. As a member of the U.S. Conference of Catholic Bishops, he is currently a member of the Administrative Committee, the Committee on Priorities and Plans, and the Committee on Clergy, Consecrated Life and Vocations. The Archdiocese of Indianapolis has been a vacant see since November 7, 2016. The Archdiocese comprises 13,758 square miles and it has total population of 2,621,455 people of which 223,815 or nine percent, are Catholic.